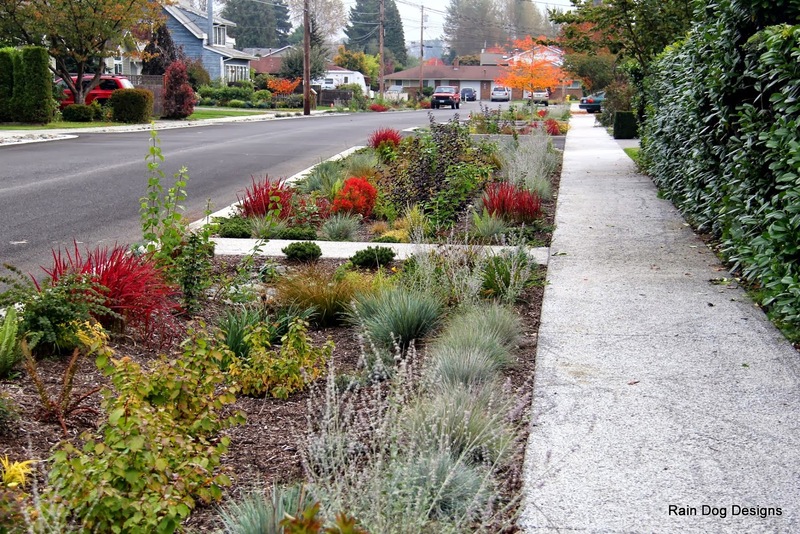 Rain Dog Designs provides landscaping services that protect land and water in neighborhoods across Puget Sound. 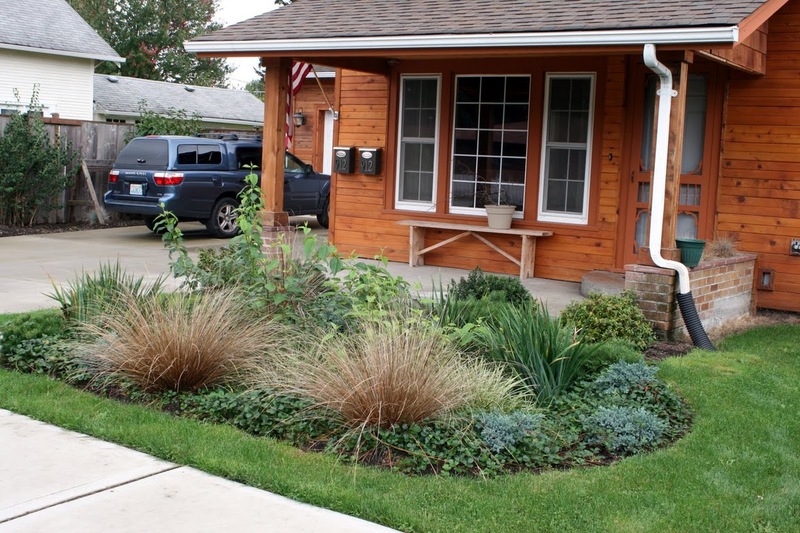 We specialize in rain gardens and natural systems that filter polluted runoff, and we work to engage the community around our projects. 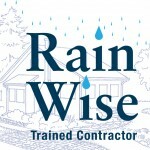 Rain Dog Designs is a registered contractor in the King County and City of Seattle RainWise program. We help build healthy and wealthy neighborhoods with model projects in Kirkland, Seattle, Burien, Puyallup, Eatonville and Tacoma. We create beautiful landscapes that use less expensive and more family friendly natural yard care practices. You will find these examples and more as you explore our website. Contact us to help you with your neighborhood, commercial or industrial landscaping project. Find us on FaceBook. More than 30 of our rain gardens help protect the Puyallup River by infiltrating rain water along three blocks in the City of Puyallup. See how this collaboration between the City and inspired homeowners are turning their neighborhood into a Street of Green. We recently enjoyed visiting with Ciscoe Morris on his Gardening with Ciscoe radio show to talk about the neighborhood and the project.